Yes, you read that right. 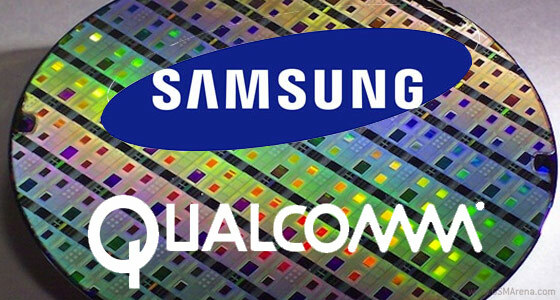 Samsung, one of major producers of own-brand mobile silicon, is about to help Qualcomm produce some of their 28nm Snapdragon S4 SoCs. How about that? The reason for this is that Qualcomm's current manufacturing partner, Taiwan Semiconductor Manufacturing, better known as TSMC, can't keep up with the demand. As a result, Qualcomm has reached out to the biggest players in the business for help - United Microelectronics (UMC) and Samsung. UMC is said to start producing the 28nm Snapdragon S4 chips in Q4 of this at the very earliest. However, it's unknown when Samsung will chime in and start the manufacturing process. One thing is certain though - Samsung is already using some of Qualcomm's hardware for phones in the US because their own Exynos chipsets lack LTE support, and more specifically the 700MHz band. As a result, the high-end Samsung phones in the US have a Qualcomm's Snapdragon S4 inside, which migght just be one of the reasons why Samsung will be helping with the manufacturing of for its business partner. Funny seeing this post in Jan 2016--when ALL flagships and most mid-range phones are at least octa-core, and some more. Everyone sues Samsung, but Samsung helps competition to have better products. Dafuq? !